*Handle Color ?What color handle do you want? 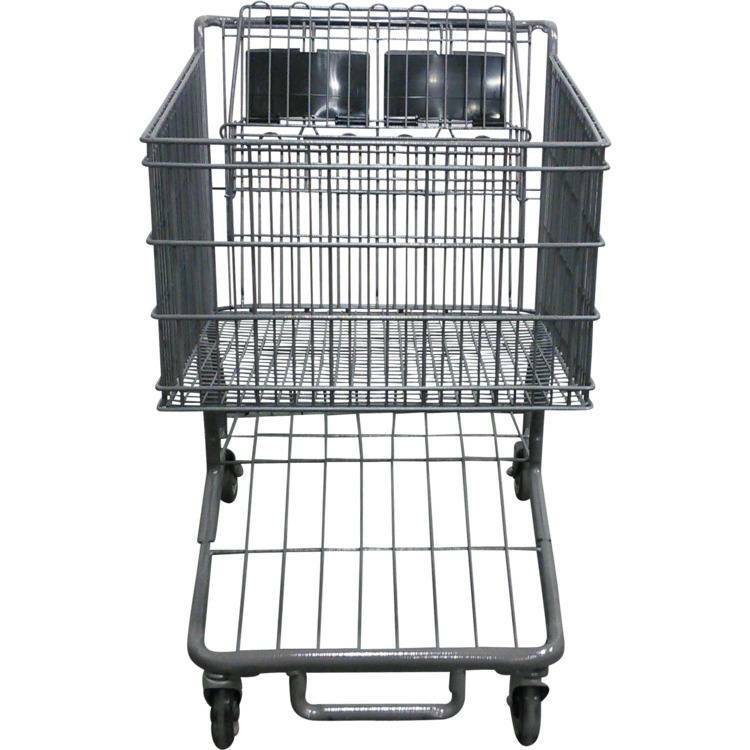 This is the precision model #563 reconditioned shopping cart. 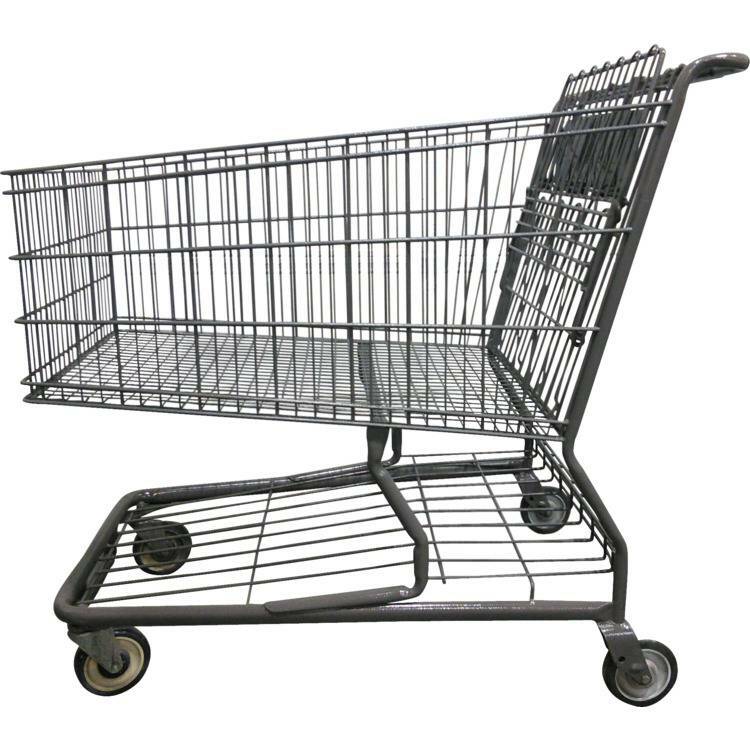 It is available in level 1 with ALL NEW WHEELS or level 2. 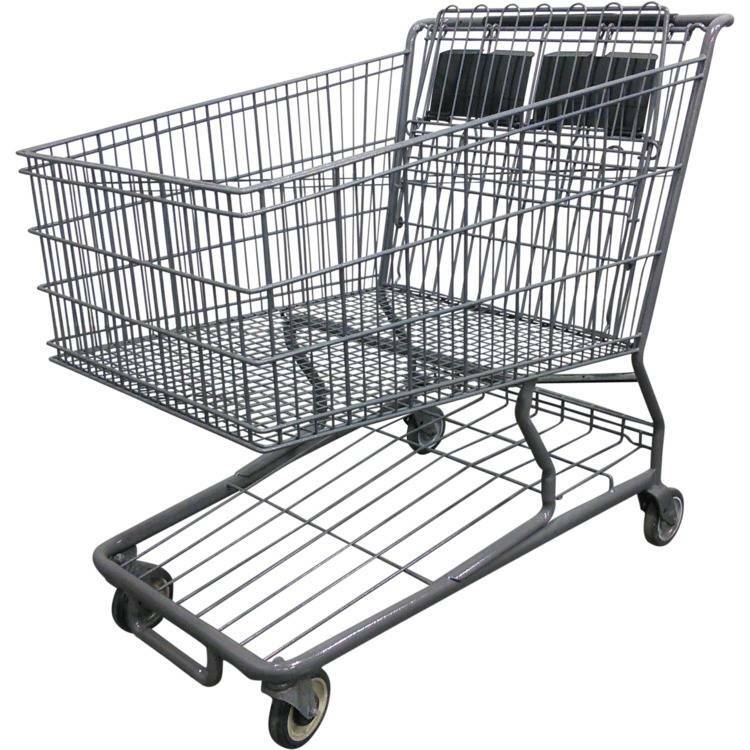 Please look at the dimension closely as this is a gigantic shopping cart. 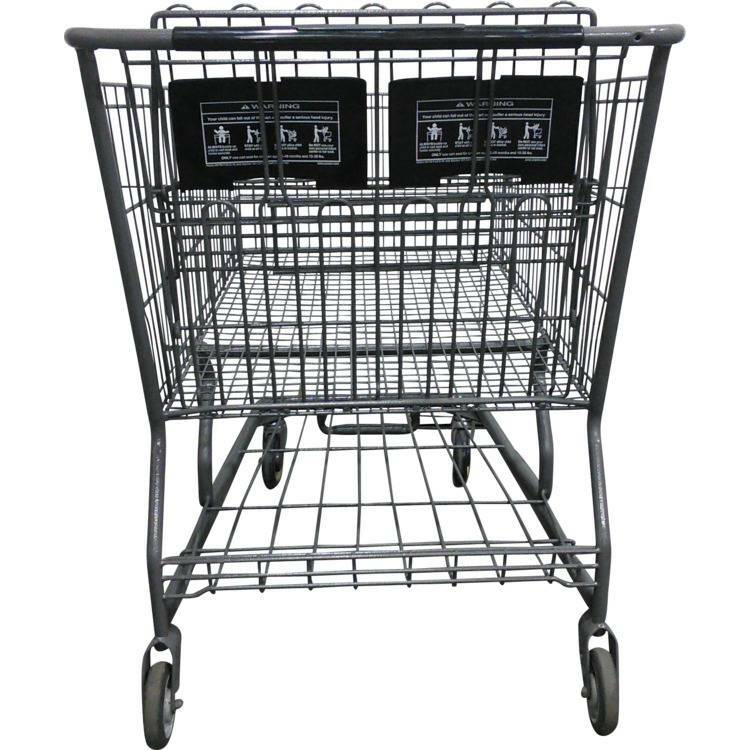 This refurbished shopping cart is best suited for warehouse style stores and warehouses as an order picking cart This shopping cart was manufactured by Precision Wire Product in CA but we have it in our mid-west warehouse. It has been cleaned then painted with our state of the art spray technology. Level 1 includes all new wheels, level 2 will have all working wheels. If you want a printed handle, there will be a $25 surcharge added to your order. Minimum of 4 please if you need printing. Depth of basket at handle 21"
Depth of basket at nose 13.125"